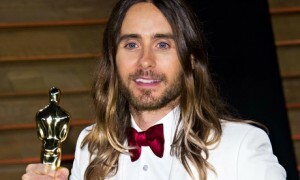 I’m really thrilled to see that Jared Leto won an Oscar for his role in ‘Dallas Buyers Club”. Jared was the first Actor I coached on the first film I worked on as a Dialogue Coach. His extraordinary portrayal is mesmerising and the award well deserved. In our next newsletter I will be writing an article about how Jared, and other Oscar winning Actors I have worked with, create credible and authentic performances that entrance and move audiences.